Every new occasion brings with it a different vibe and joy. The celebration calls for a new addition to your wardrobes. With the festive or wedding season right around the corner, we bring you the list of ultimate designer boutiques in Ahmedabad. Check them out. Atosa, a Mumbai based multi-designer store which now has its place in our Ahmedabad city. This store houses a splendid collection of well-known designers. You will find unique ethnic and indo-western designs. They have contemporary designs in Pastel Shades, Long Georgette Flowy Gowns, Modern Edgy Dresses, Sarees, Tunics, Designer Jewellery and even footwear. Atosa is a bit on the expensive side, do visit if budget is not your concern. Designers at Atosa: Nikhil Thampi, Wendell Rodricks, Mayank And Shraddha Nigam, Aparna Badlani, Payal Khandwala, Mandira Bedi, Payal Singhal, Nupur Kanoi, AM:PM, Gaurav Gupta, Anand Kabra, Shruti Sancheti, Masaba Gupta, IKAI, Priyadarshani Rao, Natasha J, Namrata Joshipura and many more. Meet the designer sisters Rishita and Mitali. The sister duo brings a great high end range of bridal and ethnic wear collection. Their designs consist of a blend of floral and intricate embroidery. They use beautiful sorbet and fresh colours in their dresses with intricate pearl embellishments which makes you fall in love with the collection. They bring to you quintessential Indian ethnic wear in pastel colours. Their style is also loved by celebs like Soha Ali Khan, Nushrat Bharucha, Surveen Chawla. Shades.kp by Pooja & Keyur showcases you the art of weaving and intricate bandhej. They have a great collection which includes modern Silhouette, Shikargarh weave, handloom sarees, and much more. The yarn they use is dyed in natural Indigo pigment, which is rare and derived from the leaves of only certain plants that are native to the Indian subcontinent, interesting right!!! Shyamal and Bhumika, well-known premium designers too house their store in Ahmedabad. Well-known for their traditional and vintage wear, their designs reflect the Indian artwork and craft. They have a huge collection for both men and women. The perfect destination for all brides and grooms looking for their perfect wedding lehenga or sherwanis for THE day. The designers are popular among the stars too. They have designed for stars like Esha Deol, Sonakshi Sinha, Dia Mirza, Hema Malini and many others. The term Siyaahi is a Hindi word which means “ink”. The designers have been seen showcasing their designs at Lakme Fashion Week. The duo is a perfect combination of smart and modern design. If you are looking for that perfect wedding gown to wear on your special day, this is the place to be. 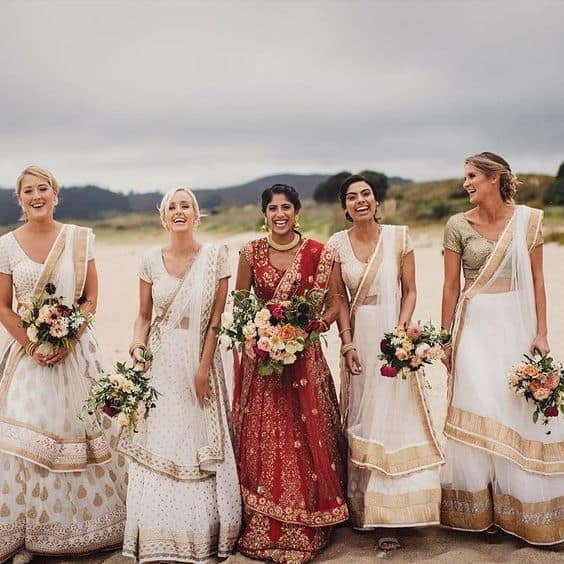 They create beautiful indo-western evening gowns, kurtas and much more ranging from affordable to big-budget which are just the perfect look for you & your bridesmaids. Address: 6, Ground Floor, Shree Balaji Heights, Nr. IDBI Bank, Opp. Muni. Govt. Ouarters, Tanishq Lane, Off C. G. Road, Ahmedabad. 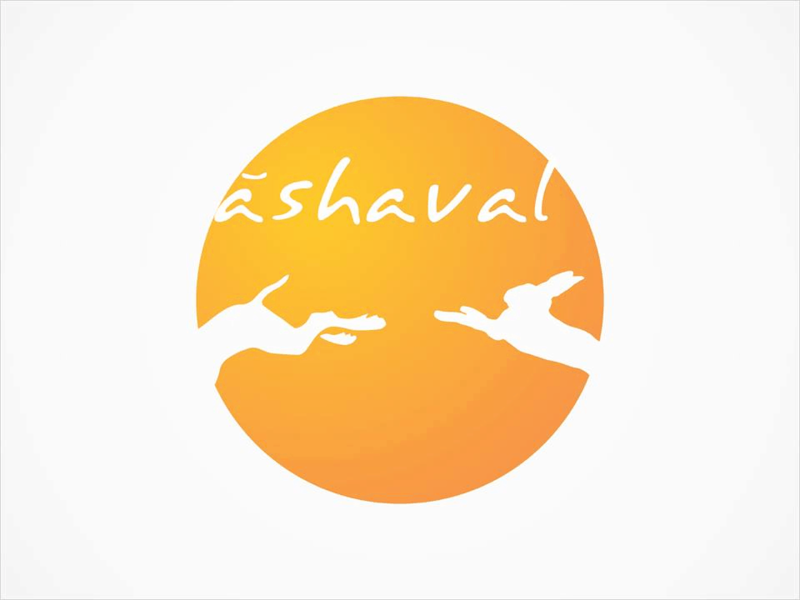 Asopalav is one of the most well known and trusted label for traditional wear in Gujarat, especially in Ahmedabad. 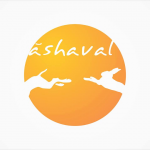 Asopalav Ahmedabad has a huge range of ethnic clothing which can satisfy your budget concern. They have beautiful Banarasi sarees, silk sarees, amazing wedding lehengas, heavy designer dresses and much more in their heritage collection. Their trial collection consists of bohemian prints, cotton and silk fabrics best suited for any festivals. They even have a very good range of men’s wear ranging from kurtas to sherwani, from ethnic jackets to dupatta. Their bridegroom collection is elegant and trendy available in many colours from pastels to bold. You can get your choice, as well as your pockets satisfied here. Aryans is another designer boutique in Ahmedabad which offers trendsetting collection. The collection includes ethnic festive designer clothing. They have an in-house team of weavers, tailors and designers to make those little customizations in the dress you are looking for. Designer Kurtis, sarees, bridal lehengas, blouses, indo-western dresses, one-piece, gowns make up their collection. The multi-designer store at Prahladnagar “Monsoon” is one of the leading stores in Ahmedabad. Apart from the high-end designer clothing collection, they even own some best-designed accessories, jewellery, footwear and handbags. This is a one-stop store for all your designer wedding shopping. Also, you wouldn’t have to search for your matching pair of footwear. This multi-designer store has exquisite bridal fashion collection. Deval store is the amalgamation of modern designs and traditional crafts. You can explore the richness of Indian culture in the outfits showcased in the store best suited for your wedding and festivals. They have an expensive range of clothing designer sarees, Anarkalis, shararas, lehengas, gowns and much more. You can also pick up fabulous collections of bags, shoes and jewellery to accessorize well with your outfits. Aishwarya, a well known ethnic store in Ahmedabad houses a huge collection for women traditional wear. Their collection includes sarees, lehenga, flared gowns & bridal collection. The best thing is that they can customise designs according to your choice. They also have a facility for ordering online. Jade Blue fulfils every clothing necessity for men. From formals to wedding collection, from blazers to kurtas they have it all covered. Jade Blue comes in one of the most trusted brands for men in Ahmedabad for festive or wedding collection. Here the price ranges from affordable to expensive. So you can choose your budget and shop accordingly! Manyavar, a brand that comes to the mind of most Indian men while shopping for any festivals, isn’t it? Their designs and colours of the outfit are something which is best suited for Indian festivals and marriages. Kohli says the same, right? There are total of four stores of Manyavar in Ahmedabad city. The collection of men’s ethnic wear is huge and satisfies the need of all age group with an affordable price range. They even have a good collection for women ethnic wear under the brand name “Mohey”. @rajkummar_rao’s ethnic swag is something that no one can ignore! Do we agree? Tell us what you think! #IndiaEthnicWeek #Repost @rajkummar_rao with @get_repost ・・・ My pick for this festive season is only and only ethnic wear. All thanks to #IndiaEthnicWeek by @ManyavarMohey from 5th to 9th November! Why have just one day of style filled celebrations, when you can dress the part all week long! Get ready for the festivities just like me and shop for your ethnics now! PS: #Manyavar’s festive collection has it all. Nilesh – Mitesh, the designer duo of Kora understands the need for men’s fashion and always come up with a royal and heritage look for them in different styles. They create beautiful unique designs considering the trends from across India. Their cuts, their styles are so different that we bet you won’t find it anywhere else. Want to stand out from the crowd looking amazing this Diwali? Ajay Arvindbhai Khatri is the one for you. The ethnic wear you find here has unique patterns and designs best to shop for any occasion. Their collection includes wedding couture, heritage, indo-western and much more. At their store, you will also find designer kurtas and jackets as well as trendy suits and tuxedos best for traditional occasions or cocktail parties. Tailor’s point is an Ahmedabad originated designer store for men with 6 outlets in the city. It houses an entire designer wedding collection for men. If you have some particular design in mind, they can make it just the same for you. I’ve been browsing online more than 3 hours as of late, but I by no means discovered any fascinating article like yours. It is pretty value enough for me. Personally, if all webmasters and bloggers made excellent content as you probably did, the web will be a lot more helpful than ever before.